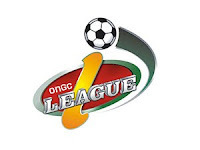 Football lovers from the garden city of Bangalore would get a chance to see the best of the footballing action in I-League 2nd Division Group A qualifiers, which kicks-off from March 27. Both the Bangalore-based team, HAL and BEML play their first match against each other on next Sunday, March 28. Talking to GardenCity Soccer Stars, HAL captain, Xavier Vijaykumar exuded confidence. Their recent show on an invitational football tournament has been impressive, where they have beaten Vasco and other I-League 2nd Division teams. However, the other Bangalore team, BEML has been a thorn in the flesh for HAL in this season. BEML has beaten HAL twice quite convincingly in the Puttaiah Memorial Cup in November last year. You better mark your calendar for 3.30 pm, March 28.